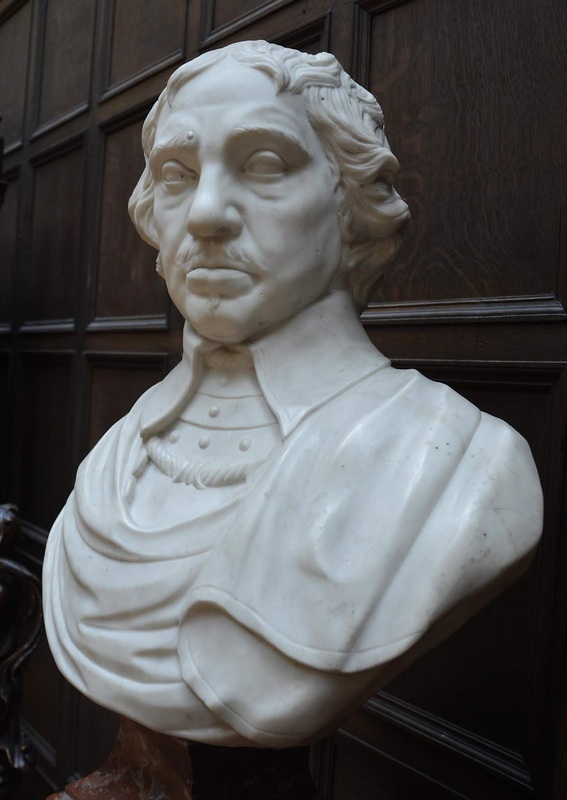 I have recently posted on the three similar busts of Cromwell by Joseph Wilton. 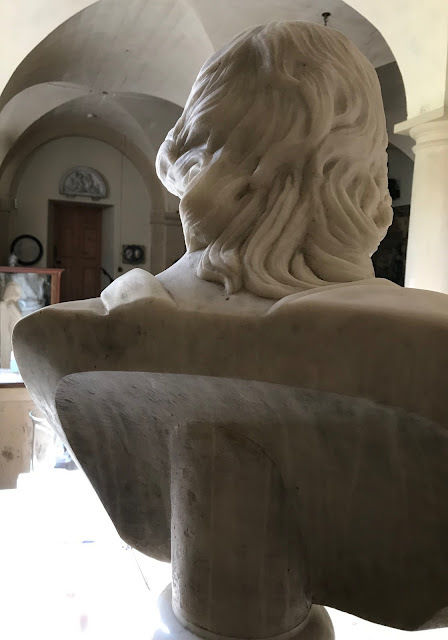 I find this mysterious bust somewhat troublesome - at first glance it appears to be quite competent but the hair appears to be very roughly sketched and so I make a tentative attribution here to the Wilton studio. The photographs of the Hovingham bust below were provided by Claire at the estate office at Hovingham Hall to whom I would like to express my very sincere thanks. 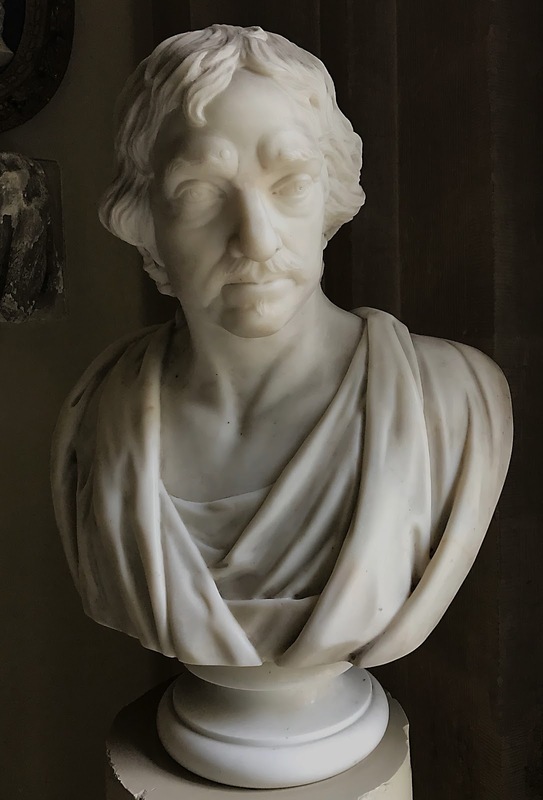 This bust is mentioned again as being in a niche over the chimneypiece in the dining room at Hovingham in Vallis Eboracensis: Comprising the History and Antiquities of Easingwold and ...By Thomas Gill pub. 1852. Hovingham is country house of c. 1750-1774 with an additional C.19 servants' wing. Built by Thomas Worsley VI for himself. 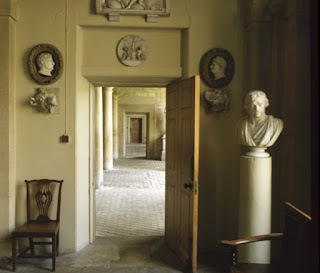 Craftsmen working at Hovingham included Jonathan Rose the plasterer; John Devall Junior who provided an Ionic chimney-piece; Moss, Kelsey and West joiners; Jelfe the mason; Abbott the painter and Lawrence the woodcarver, all of whose names appear in Thomas Worsley's accounts held at Hovingham. attributed here to Joseph Wilton. 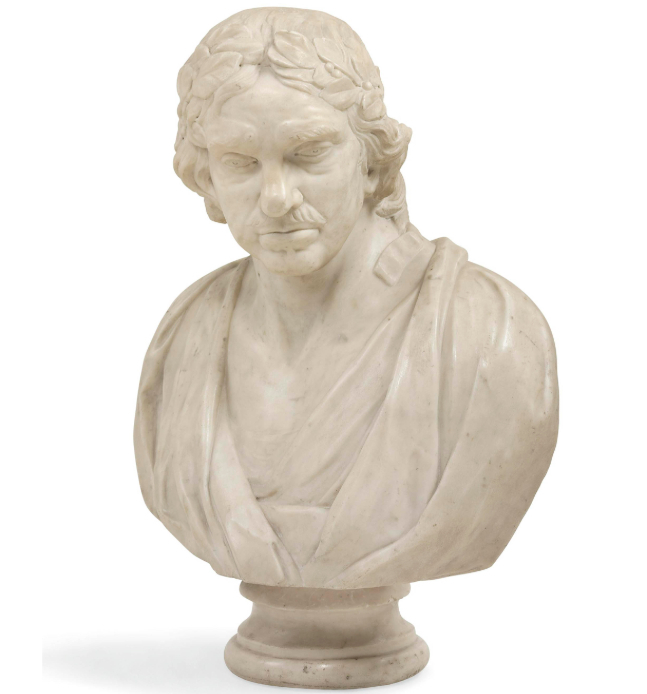 Whilst not signed by Wilton the closeness to his known busts and the oval shape of the socle is typical of his work. Provenance: With Arcade Gallery; from whom purchased by the Ministry of Works in January 1949. Height: 61.50 cm, width: 52.00 cm, depth: 31.00 cm. Purchased from the Arcade Gallery, January 1949. Most recent known location : British Embassy (The Hague, Netherlands). Busts of Oliver Cromwell at The Lady Lever Art Gallery, The Russell Cotes Museum, and The Museum of Arts, Milwaukee Part 2 Update. The Museum of Arts, Milwaukee. 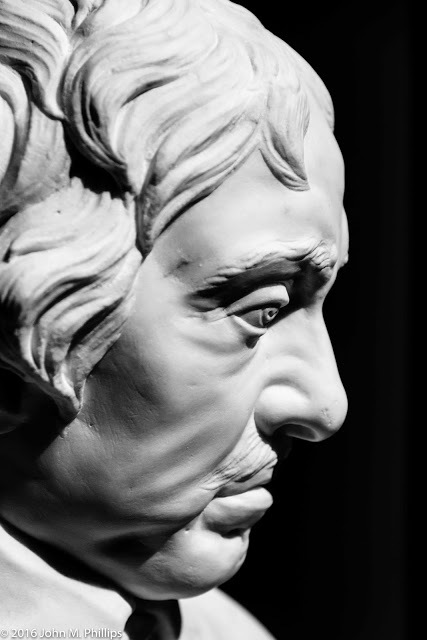 Whilst this is a very subjective - it is my current opinion that these four busts are all 19th Century - the best one can say for them is that the quality of the carving is competent. 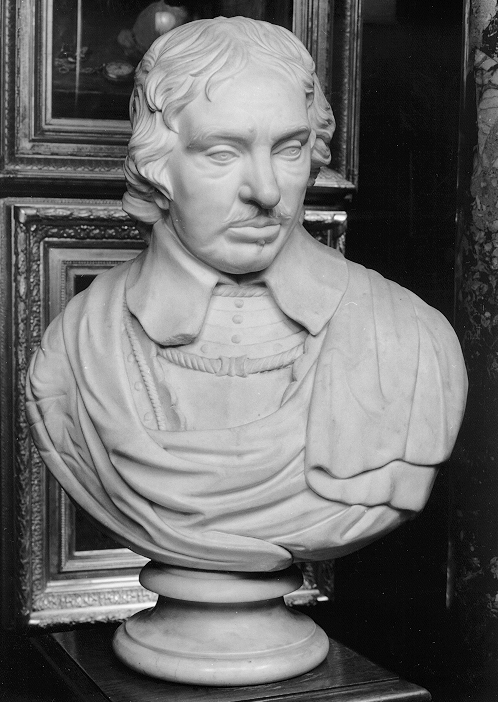 I have not yet seen any good photographs of the Tangye bust but expect to receive some imminently. These busts are perhaps based on an original seen by George Vertue in the Rysbrack Studio in 1732 which is now missing although the planes of the flesh have more in common with the Harwood or Wilton busts. 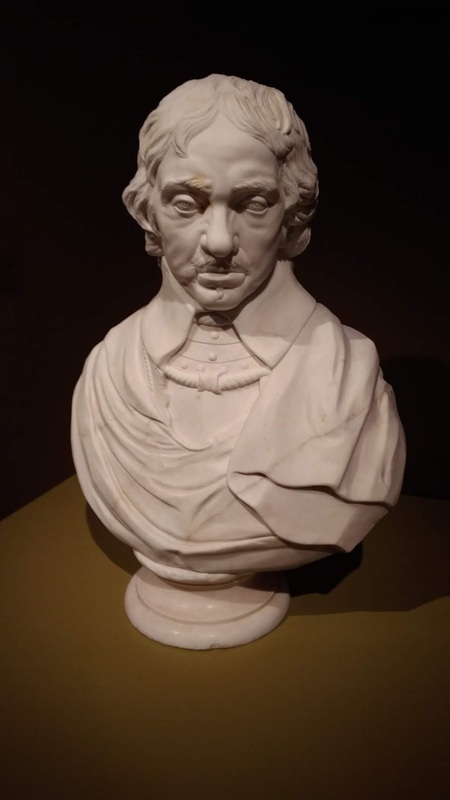 There are minor variations in these busts particularly in the rivets on the breastplate but they all appear to have come from the same so far unidentified studio. Left to Right - Russell Cotes Museum, Lady Lever Art Gallery, Museum of Art Milwaukee. 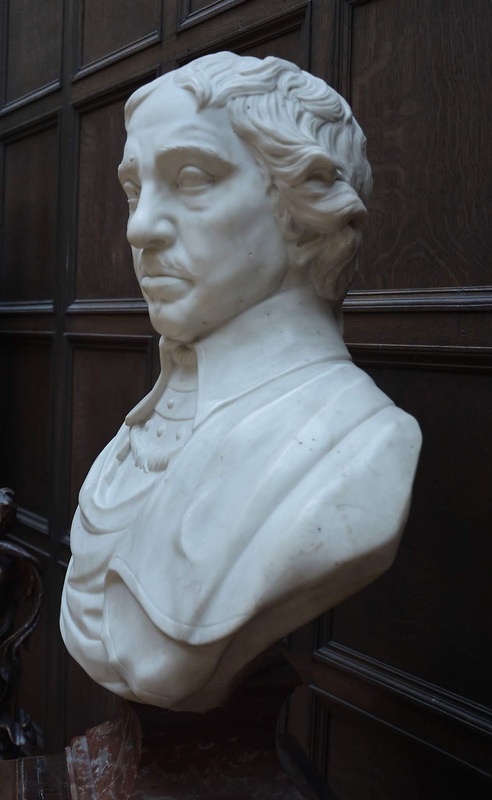 There are minor differences in these busts - note the rivets on the breastplate on the right proper of the Russel Cotes version and the conformation of the rivets on the breastplate of the other two. 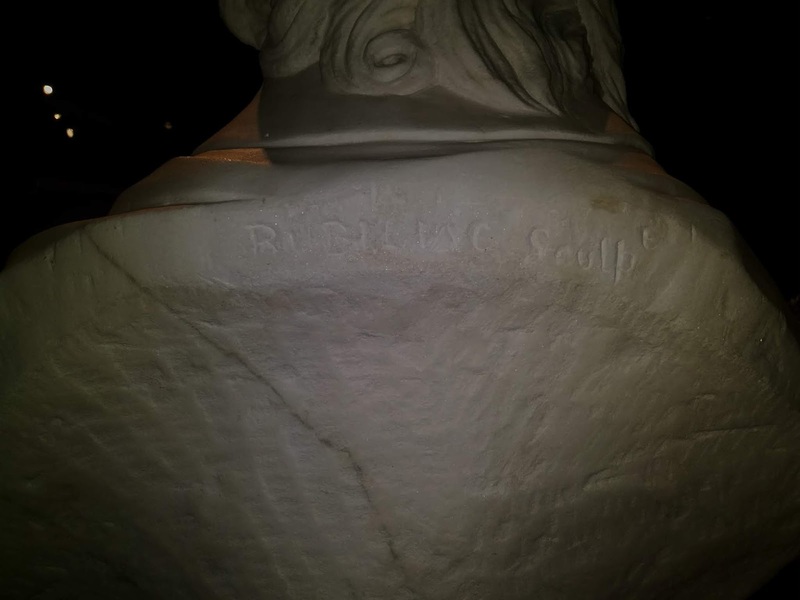 This bust has a spurious Roubiliac inscription. I am very grateful to Duncan Walker of the Russell Cotes Art Gallery and Museum for his input. 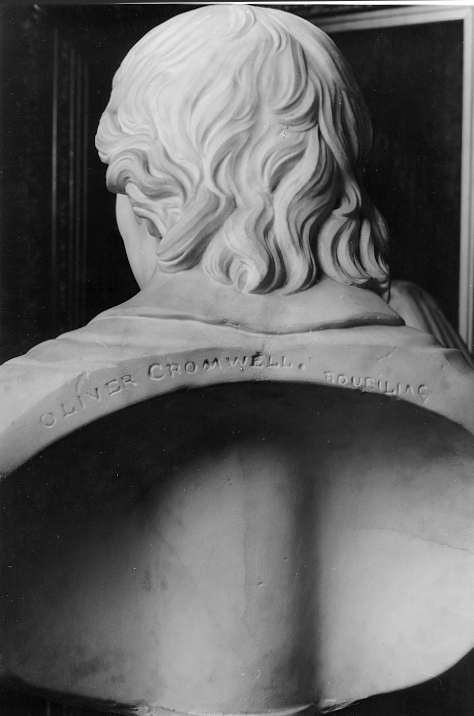 The spurious Roubiliac inscription on the back of the Russell Cotes bust of Cromwell. Roubiliac would be turning in his grave! 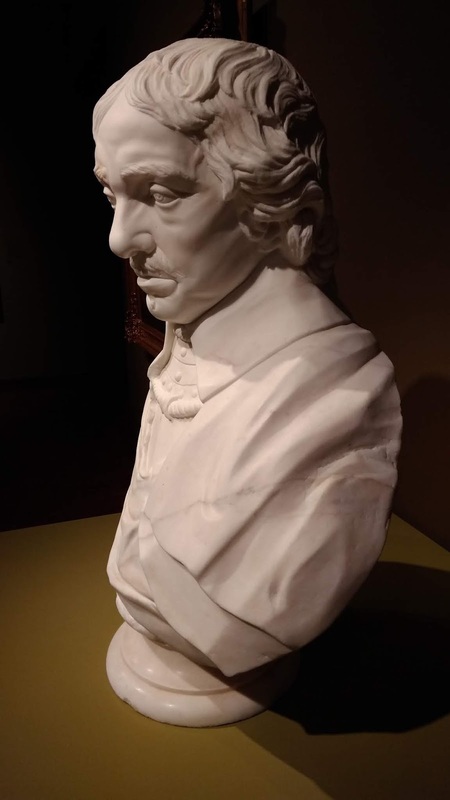 I am extremely grateful to both Rebekah Morin and Catherine Sawinski of the Museum of Art in Milwaukee for corresponding and providing the photographs of this bust. 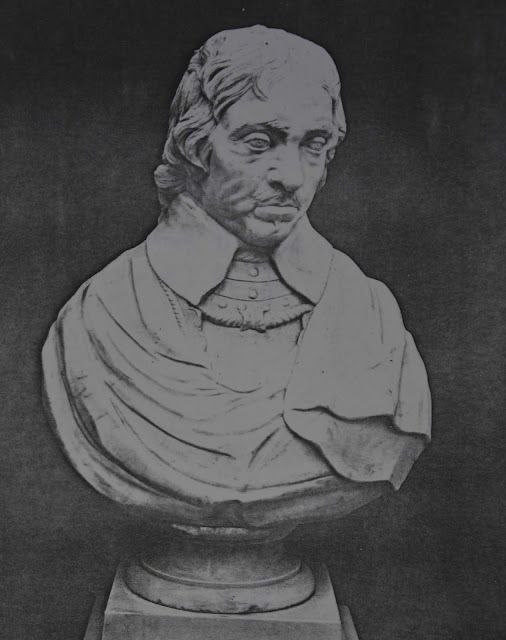 My recent visit to the Lady Lever Art Gallery to photograph their bust of Cromwell and to obtain a glimpse of their files produced a photocopy photograph below and a few details of the owner of this bust in 1959. Sold Sotheby's, 3 March 1959. Lot 141,. 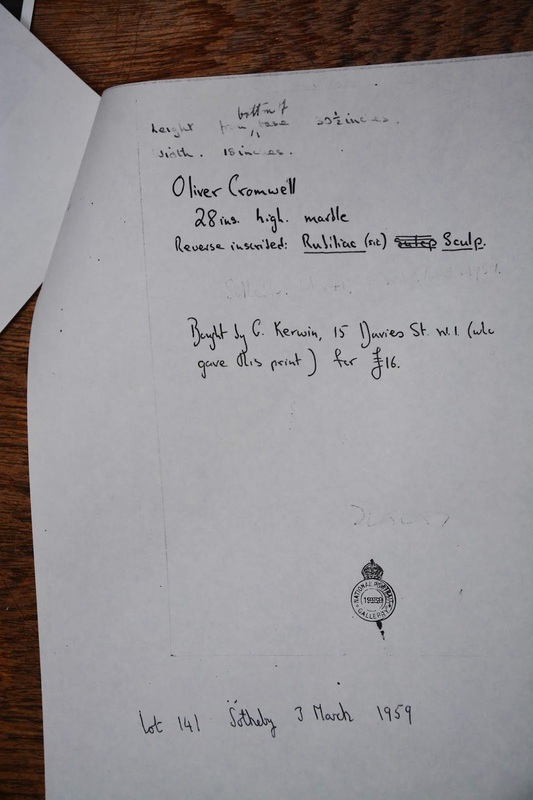 Bought by C Kerwin, 15 Davies Street, London, W1. 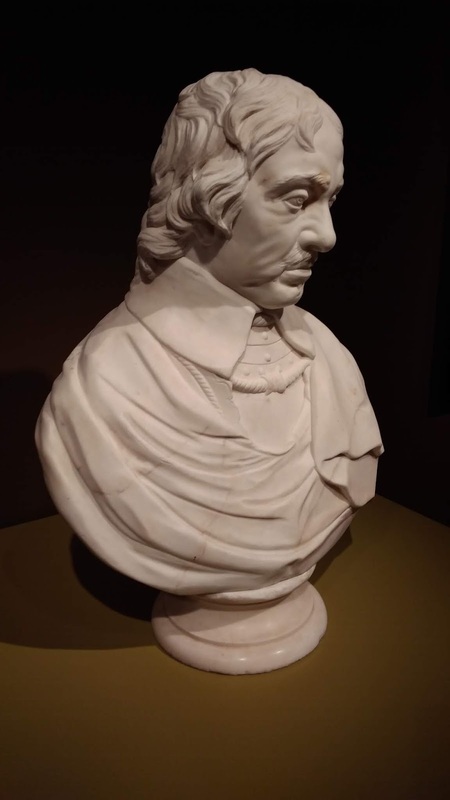 I am very grateful to David Moffat of the Lady Lever Art Gallery, Port Sunlight for welcoming me to the gallery and allowing me to see and copy the files relating to their bust of Cromwell. 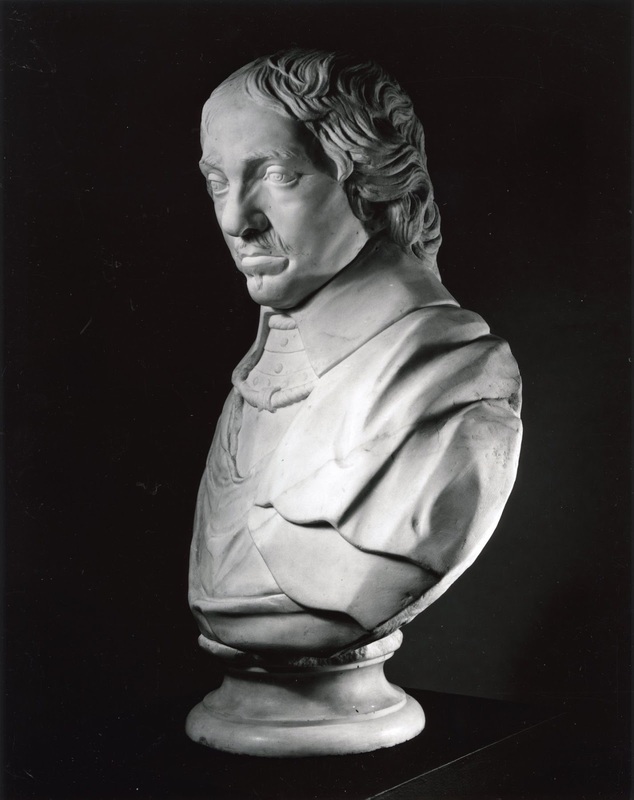 Marble Bust of Oliver Cromwell Anonymous Sculptor. at the Lady Lever Art Gallery, Port Sunlight. Update with new photographs taken by the author. Probably Mid - late 19th century. On a later Belgian Red Marble Socle. 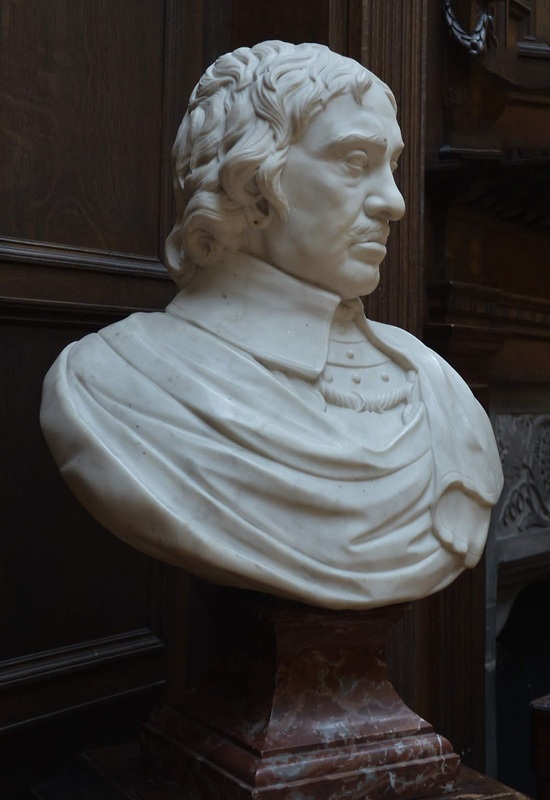 Once again I am very grateful to David Moffat of the Lady Lever Art Gallery, Port Sunlight for welcoming me to the gallery and allowing me to see and copy the files relating to their bust of Cromwell. In the collection of Sir Richard Tangye (1833 - 1906) in 1899. The Two Protectors : Oliver and Richard Cromwell. by Tangye, Richard, Sir, 1833-1906. 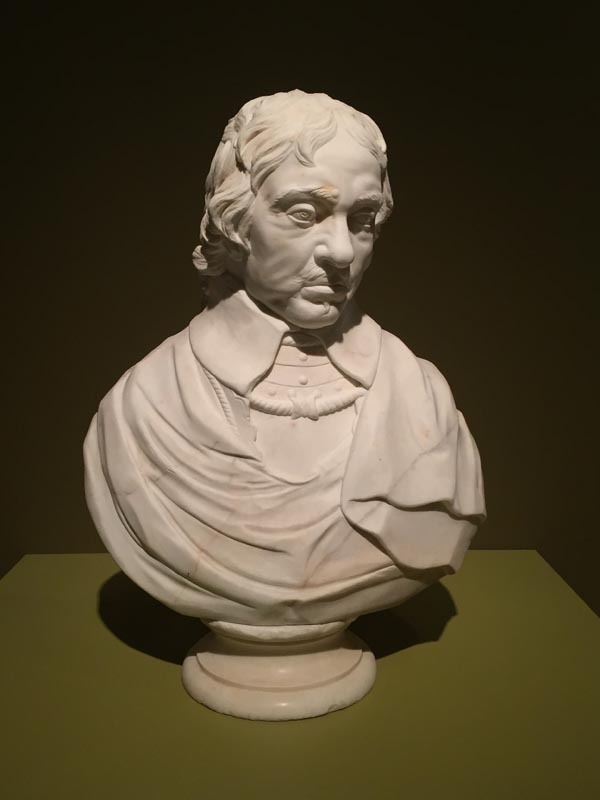 This bust is not the Russell Cotes Museum, the Lady Lever or Milwaukee Museum bust. but it is obviously related. The Cromwellian Collection of MSS., Miniatures Medals etc.... of Sir Richard Tangye pub 1905. 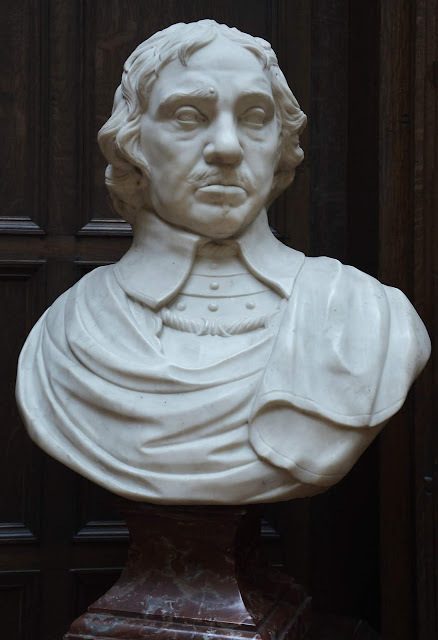 19th-century engineer Sir Richard Tangye was a noted Cromwell enthusiast and collector of Cromwell manuscripts and memorabilia. 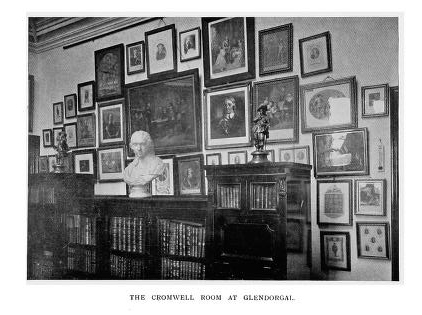 His collection included many rare manuscripts and printed books, medals, paintings, objects d'art, and a bizarre assemblage of "relics". 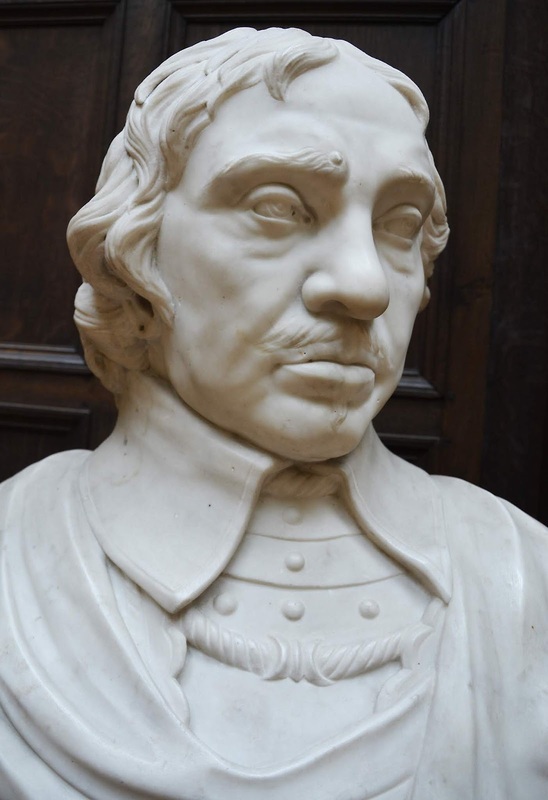 This includes Cromwell's Bible, button, coffin plate, death mask, and funeral escutcheon. On Tangye's death, the entire collection was donated to the Museum of London, where it can still be seen. and a further at Hovingham Hall. In the Manner of Joseph Wilton. 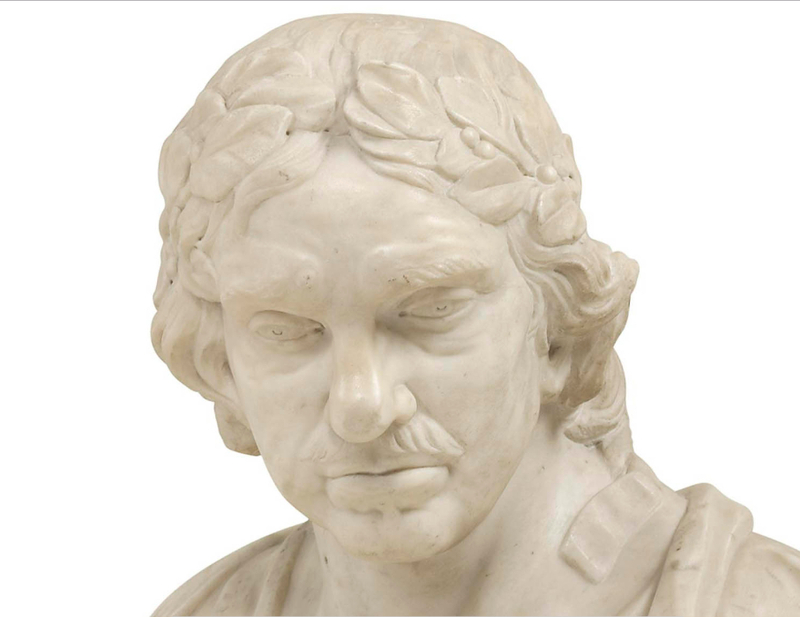 Sold from the Collection of London dealer Ross Hamilton by Christie's of South Kensington. Lot 163, 27th February 2013. 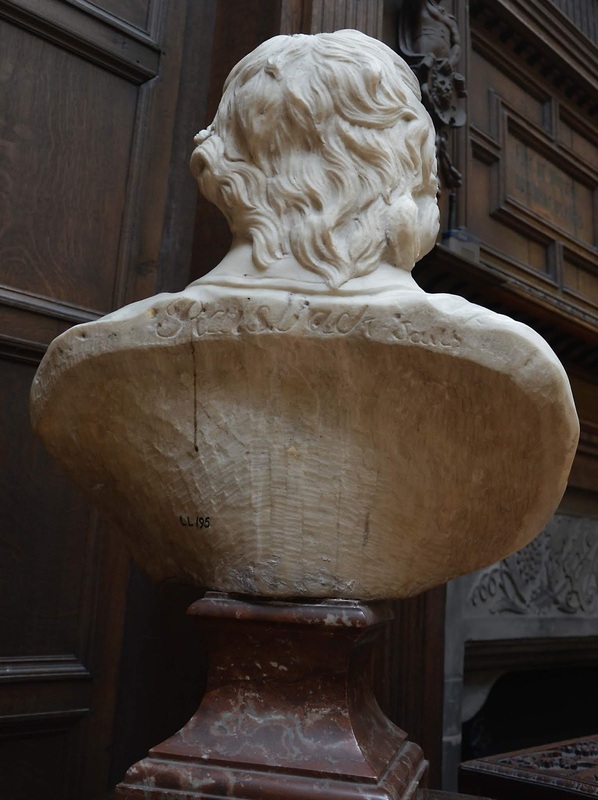 The quality of the carving of this bust although somewhat obscured by restoration? suggests to me that it is a 19th century replica. 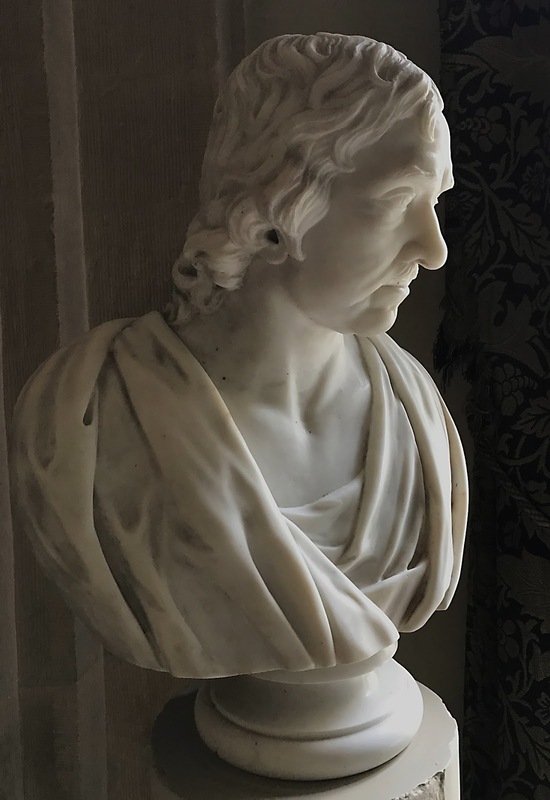 This bust is mentioned as being in a niche over the chimneypiece in the dining room at Hovingham in Vallis Eboracensis: Comprising the History and Antiquities of Easingwold and ...By Thomas Gill pub. 1852. Hovingham is country house of c. 1750-1774 with an additional 19 century servants' wing. Built by Thomas Worsley VI for himself. Craftsmen included Jonathan Rose the plasterer; John Devall Junior who provided an Ionic chimney-piece; Moss, Kelsey and West joiners; Jelfe the mason; Abbott the painter and Lawrence the woodcarver, all of whose names appear in Thomas Worsley's accounts held at Hovingham. Sold by Christie's, London Lot 112 - 9 July 2009. Mary Morrison by whom bequeathed to Catharine Dent-Brocklehurst and by descent. For what its worth - I think the JD inscription is probably spurious - added sometime after its production perhaps to increase its value. 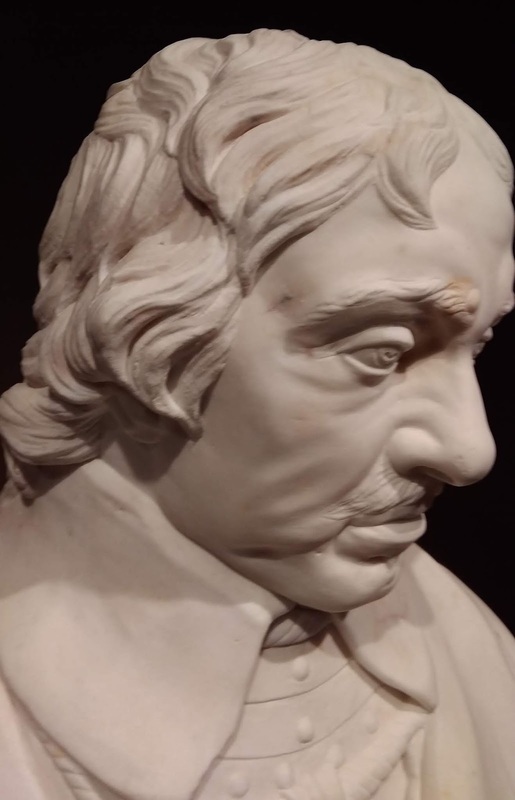 Jacob Dobbermann was a virtuoso carver of both ivory and amber who spent much of his life working in Germany in the first half of the 18th century. 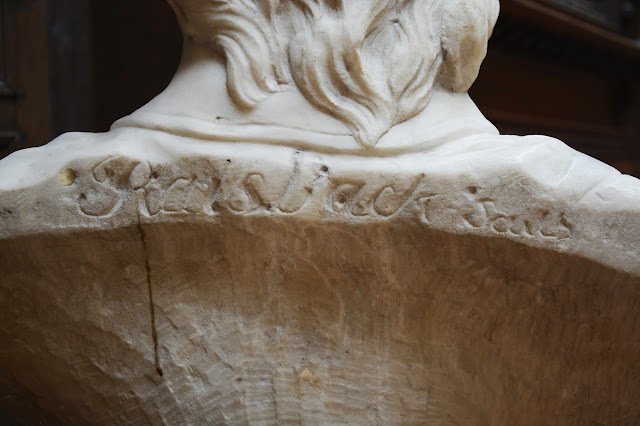 He was certainly in London in 1711 but returned to Germany no later than 1716 where assumed the role of court sculptor to Charles, Landgrave of Hesse-Kassel and, later, his son William VIII. Dobbermann was well versed in the art of carving in relief and in three dimensions as his highly accomplished plaque of Neptune and Amphitrite in the Reiner Winkler collection, Germany, and his figure of Henry VI in the Victoria and Albert Museum, London, testify (Theuerkauff, loc. cit., and V and A website; http://collections.vam.ac.uk/objectid/O89318 respectively). 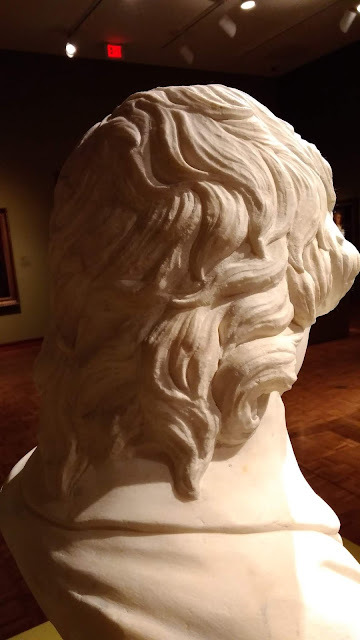 In both instances Dobberman demonstrates his great skill in carving the minute details of the hair and beard while also showing great dexterity in rendering the multiple textures of drapery. 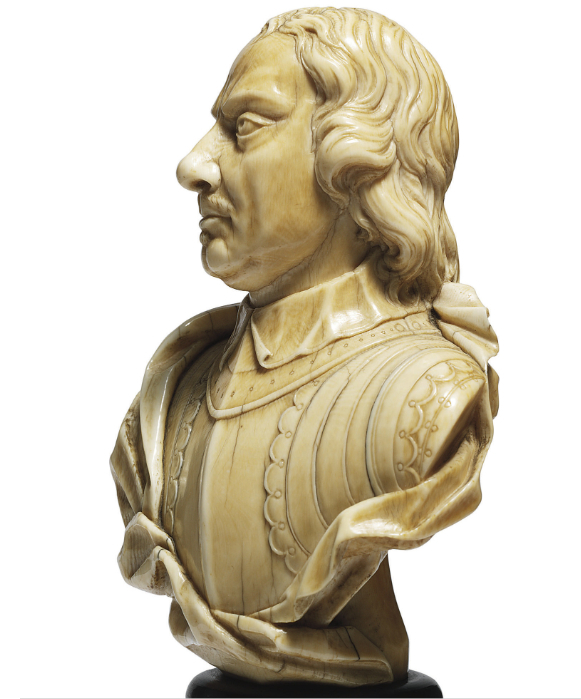 With the bust of Oliver Cromwell offered here, Dobbermann demonstrates this same skill while also showing great sensitivity in the rendering of the Lord Protector's facial features. Despite the fact that he would have been working from an engraving or a miniature, he managed to achieve great naturalism in the carving of the furrowed brow, the broad jaw and cleft chin as well as in the delicacy of the hair, moustache and collar - one small corner of which has lifted as if caught by a gust of wind. While it is not clear exactly how long Dobbermann spent in London, he is known to have been in Godfrey Kneller's academy in 1711 and to have also been a member of the Rose and Crown Club in the same year. 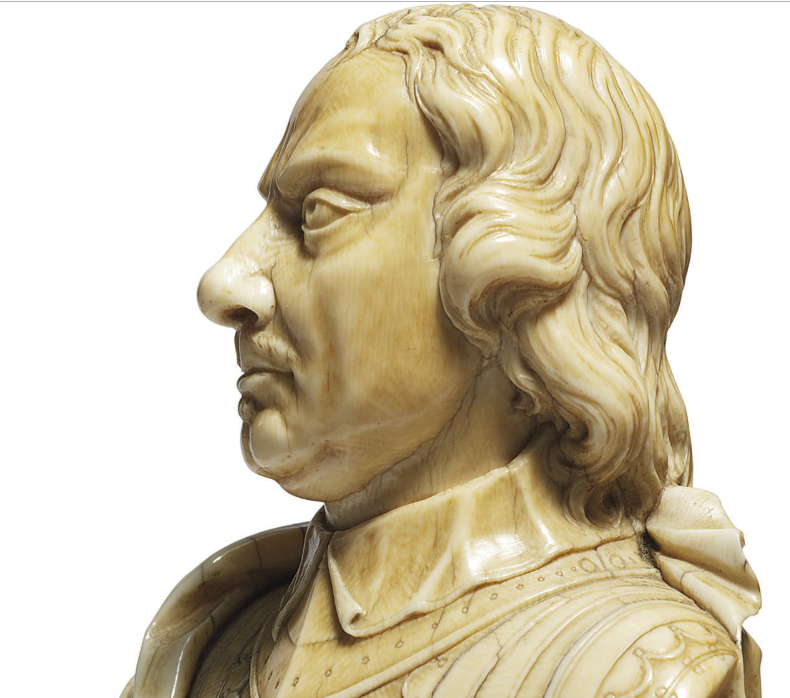 It is therefore highly likely that Dobbermann carved the bust of Cromwell during this period. 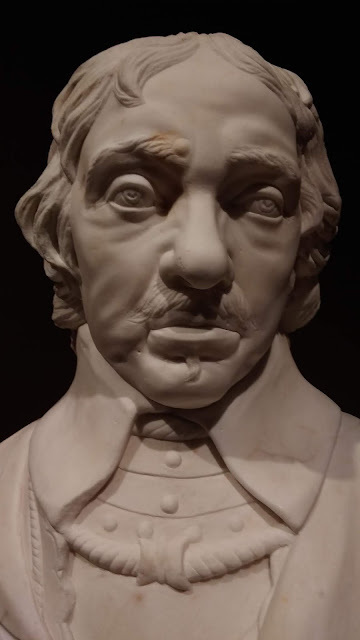 This dating is further corroborated by the fact that the bust is unlike other known work by Dobbermann and is, in fact, much more closely related to the works of his French contemporary David Le Marchand (1674-1726), who was working in London in precisely the same years (see Avery, op. cit., nos. 38 and 69, for example). 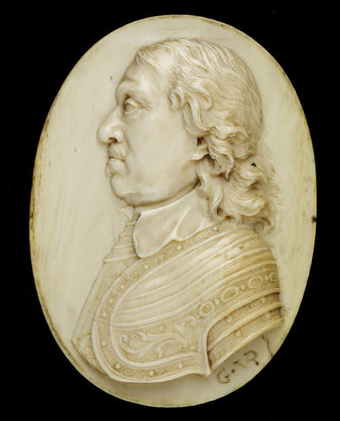 The connection between the two may be through the painter Godfrey Kneller; le Marchand knew the former from having carved his portrait in circa 1710 (now in the Thomson collection, Toronto, see Avery, op. cit., p. 74, no. 39) and Dobbermann would have known Kneller through the Academy. It is therefore highly likely that the latter introduced his young German compatriot to the well-connected Frenchman. 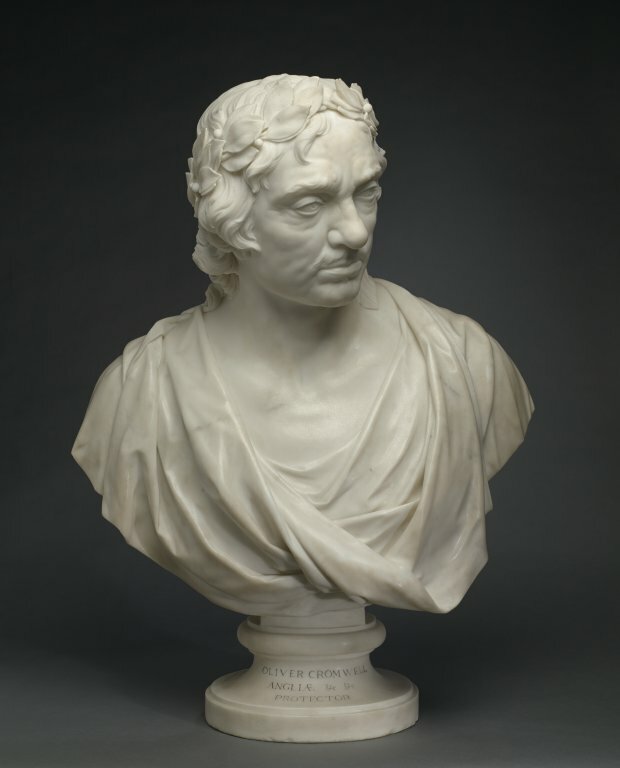 The importance of this bust must, therefore, be appreciated on multiple levels: it is a very rare sculptural portrait of this sitter, it represents the artist's virtuosity in his craft, it is emblematic of his development and influences and, most interestingly, embodies the creative atmosphere of London in the early 18th century. 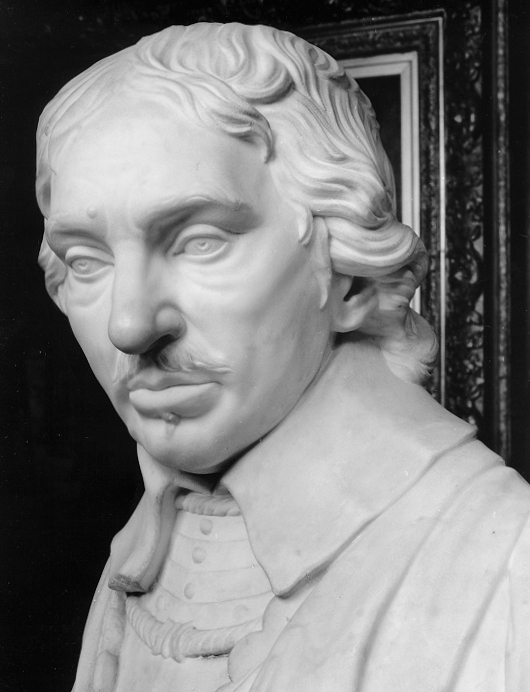 National Gallery of Scotland, British Museum and Leeds City Art Gallery, David le Marchand 1674-1726 'An Ingenious Man for Carving in Ivory', 7 Mar.- 6 May 1996, 23 May - 15 Sept. 1996 and 2 Oct. 1996 - 5 Jan. 1997. 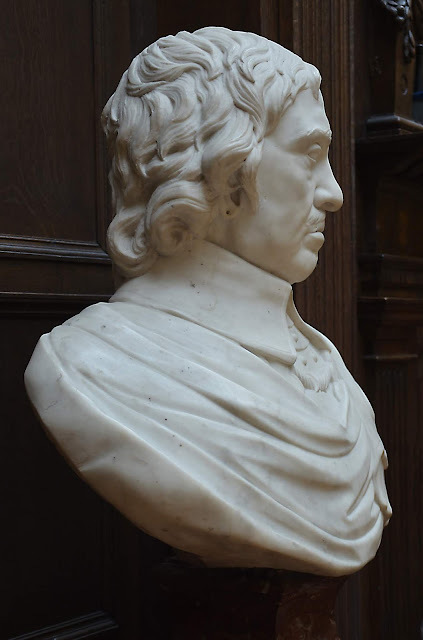 Anonymous Marble Bust of Oliver Cromwell at the Lady Lever Art Gallery, Port Sunlight. 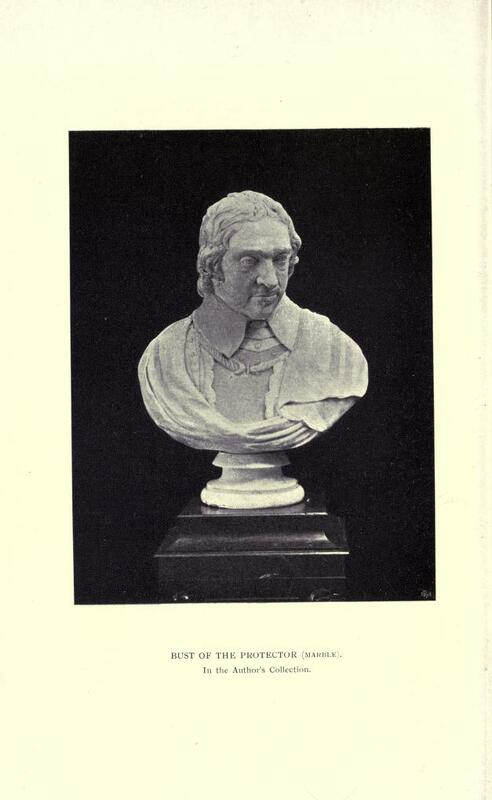 This bust is perhaps based on an original seen by George Vertue in the Rysbrack Studio in 1732 which is now missing. 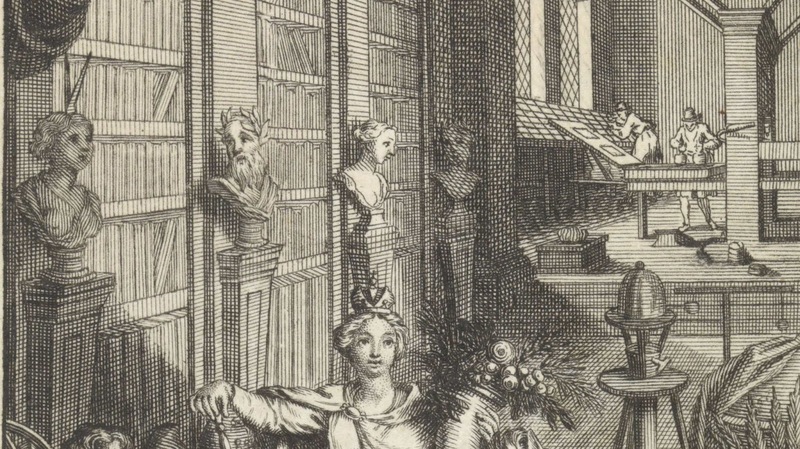 Personification of Europe in a Library with Busts. 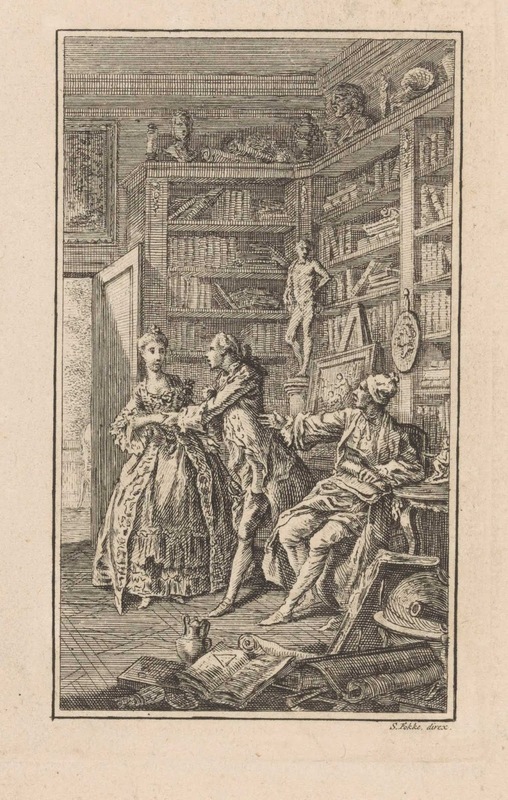 Bernard Picart (1673 - 1733). Another post in the occasional series of sculpture depicted in other media. 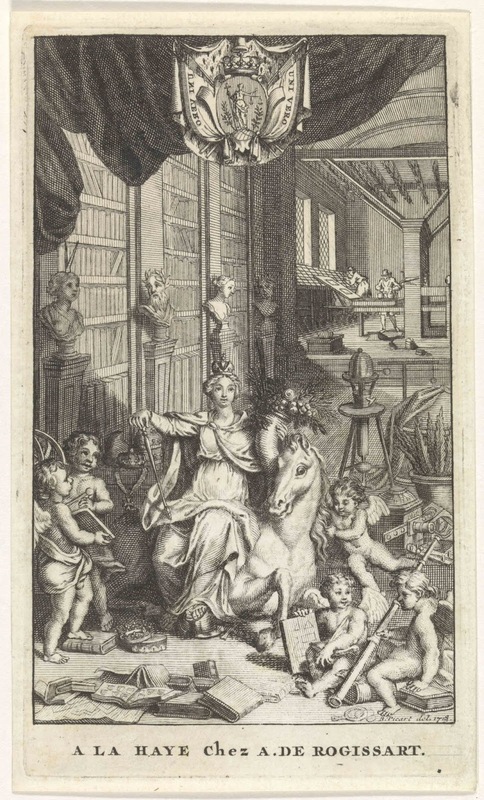 by Simon Fokke (1712 - 84). Another in the occasional series of sculpture depicted in other media.